The EVFTA is one of the much-awaited trade agreements which the world is waiting for it to get signed. This new-generation trade agreement between Vietnam and 28 EU member countries. The negotiations on the EVFTA officially concluded on December 1, 2015, and the preliminary text of the agreement was released on February 1, 2016. The EVFTA was split into two Agreements, one for trade and one for investment, on June 26, 2018. Vietnam and the EU formally completed the legal review of their EU-Vietnam FTA and the IPA (the Investment Protection Agreement) in August 2018. EuroCham released the data at an event in Brussels to launch its latest report – The EVFTA: Perspectives from Vietnam – on October 8, together with amfori and Business Europe. The launch event, with 70 participants, is part of a EuroCham mission to the European Parliament and European Commission to push for the quick ratification of the EVFTA. 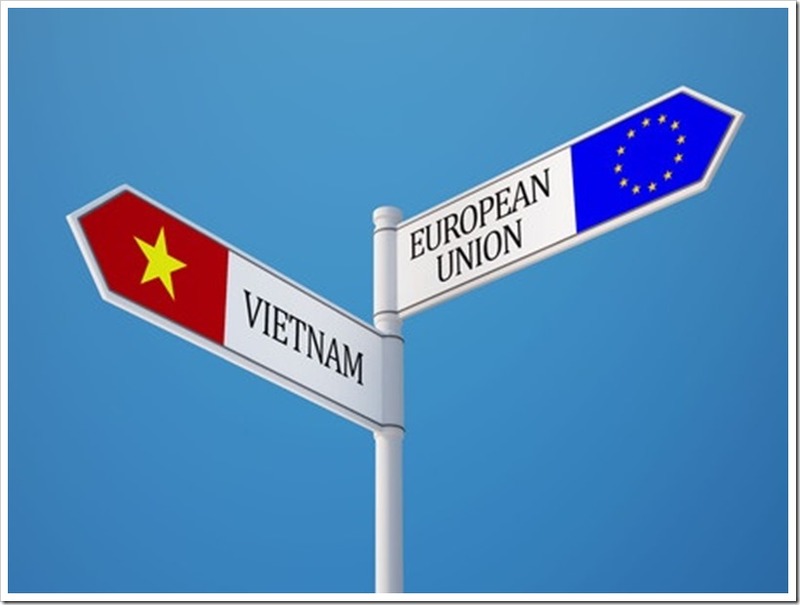 On October 17 noon, the European Commission (EC) agreed to submit the EU-Vietnam Free Trade Agreement (EVFTA) to the European Council to seek its approval for the signing of the deal slated for late 2018 and to the European Parliament (EP) for ratification in 2019. At a press conference on October 17 afternoon, the EU affirmed its commitment to putting the document in place as soon as possible. A EuroCham survey, which included 132 respondents, showed that an overwhelming 93 percent of enterprises believe that the EVFTA would be implemented in 2019, or as soon as possible thereafter. The FTA is said to bring win-win benefits to both Europe and Vietnam, with 85 percent of the European enterprises saying that it will have a “significant” or “moderate” impact on their business or investment plan in Vietnam. Vietnamese Minister of Industry and Trade, Tran Tuan Anh, and EU Trade Commissioner, Cecilia Malmstrom, issued a joint ministerial statement on the EVFTA on the sidelines of the ASEM Summit in Brussels on October 19, 2018. The joint statement welcomed the European Commission’s submission of the FTA to the European Council for approval. 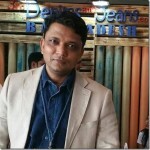 The statement stressed that the agreements would open up new opportunities for exports and investment for European and Vietnamese businesses, while also paying special attention to the rights of workers and environmental protection. Europe is rushing to translate the two agreements into 24 EU languages and accelerate another process before the official signing of the EVFTA, scheduled for late 2018. President of the European Parliament and President of the European Parliament’s International Trade Commission also confirmed that efforts would be made to finalize the ratification of these two agreements early next year in the interests of both sides and for trade benefits between Europe and Asia. The agreements are expected to bring about unprecedented benefits to businesses and peoples of both Europe and Vietnam. The agreements will help European companies gain better access to a market of more than 92 million consumers, while increasing investment, creating more jobs, and boosting trade with one of Asia’s most dynamic economies. Vietnamese exporters will also have easier access to the European market. By the end of August 2018, 24 out of the 28 EU countries had invested in Vietnam, with 2,141 valid projects worth some US$24.17 billion. Among the EU investors, the Netherlands takes the lead with 318 projects valued at US$9.16 billion, followed by France with 527 projects worth US$3.63 billion, the UK and Germany. 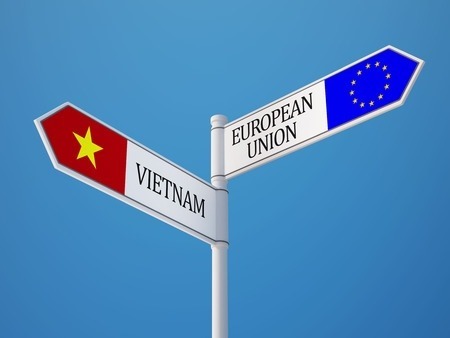 Nine out of ten European companies want the EU-Vietnam Free Trade Agreement (EVFTA) to be implemented in 2019 or as soon as possible thereafter, according to new research from the European Chamber of Commerce in Vietnam (EuroCham). The EU is now the third largest trading partner and one of the two largest export markets of Vietnam. The import and export structure of Vietnam and the EU complement each other with a less direct competition. Two-way trade revenue between Vietnam and the EU increased more than 12 times from US$4.1 billion in 2000 to US$50.4 billion in 2017. Of which, Vietnam’s exports to the EU increased by 13.6 times (from US$2.8 billion to US$38.3 billion) and Vietnam’s imports from the EU increased by nine times (US$1.3 billion to US$12.11 billion). Vietnam’s main export items to the EU are footwear, garments, and textiles, coffee, furniture, and seafood. The EU is also a huge investor in Vietnam. EU investors are present in all most of Vietnam’s key economic sectors with the focus on industry, construction and service sectors. The European Chamber of Commerce in Vietnam (Eurocham) emphasized that when the agreement comes into force, Vietnam will eliminate 65% of duties on EU exports to Vietnam. The remaining tariff lines will be gradually removed in the next 10 years, resulting in the elimination of 99% of duties on goods traded between the two sides. A tax rate of 0% will be applied to export goods of both sides such as garments and textiles, footwear, seafood, tropical agricultural products, and wood products of Vietnam and automobiles, equipment, alcohol, pharmaceuticals, temperate agricultural products of the EU. The EVFTA also contains provisions to address the existing non-tariff barriers in the automobile industry as well as the protection of geographical indications for 169 European food and beverage products in Vietnam. In general, the EVFTA is expected to increase Vietnam’s GDP by a large % increase and raise Vietnam’s exports to the EU. High-quality capital is also anticipated to pour into Vietnam and products with European standards will be exported to Vietnam with clear origin.